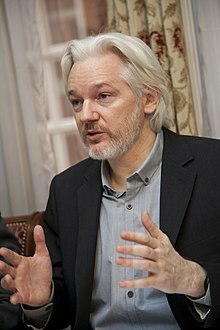 On 16 August 2012, Patiño announced that Ecuador was granting Assange political asylum because of the threat represented by the United States secret investigation against him. In its formal statement, Ecuador reasoned that "as a consequence of Assange's determined defense to freedom of expression and freedom of press… in any given moment, a situation may come where his life, safety or personal integrity will be in danger". Latin American states expressed support for Ecuador. 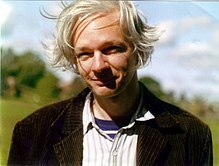 Ecuadorian President Rafael Correa confirmed on 18 August that Assange could stay at the embassy indefinitely, and the following day Assange gave his first speech from the balcony. 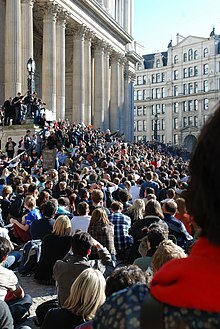 Assange's supporters forfeited £293,500 in bail and sureties. An office converted into a studio apartment, equipped with a bed, telephone, sun lamp, computer, shower, treadmill, and kitchenette, became his home from then until 11 April 2019. In a July 2016 interview, Assange implied that Seth Rich, a DNC staffer who was murdered by an unknown assailant earlier that year, was the source behind the DNC emails that WikiLeaks published and that Seth Rich was killed for doing so. WikiLeaks offered a $20,000 reward for information about Rich’s murder. Assange spoke about sources bringing information to WikiLeaks in the context of Seth Rich, and stated that whistle-blowers are at risk. When an interviewer said that Rich died as a result of "just a robbery", Assange said "No. There's no finding." Special Counsel Robert Mueller's report into Russian interference in the 2016 election said that Assange "falsely implied" that Rich was the source in order to obscure that Russia was the actual source. ^ Karhula, Päivikki (5 October 2012). 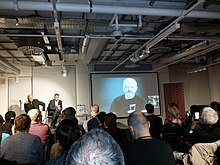 "What is the effect of WikiLeaks for Freedom of Information?". International Federation of Library Associations and Institutions. Archived from the original on 6 December 2011. Retrieved 11 October 2012. ^ McConnell, Tristan (7 March 2009). "Rights activist Oscar Kamau Kingara shot dead in central Nairobi". The Times. London. Archived from the original on 29 June 2011. Retrieved 2 April 2009. ^ Mervosh, Sarah (20 April 2019). "Seth Rich Was Not Source of Leaked D.N.C. Emails, Mueller Report Confirms". The New York Times. ISSN 0362-4331. Retrieved 24 April 2019. ^ Knott, Matthew (19 April 2019). "'A monster not a journalist': Mueller report shows Assange lied about Russian hacking". The Sydney Morning Herald. Retrieved 24 April 2019. ^ Jamie Dupree, Cox Washington Bureau. "Mueller: Wikileaks used dead DNC worker in bid to cover Russia ties". ajc. Retrieved 24 April 2019. ^ Harding, Luke; Collyns, Dan (27 November 2018). "Manafort held secret talks with Assange in Ecuadorian embassy". The Guardian. Archived from the original on 27 November 2018. This page was last edited on 24 April 2019, at 23:50 (UTC).